Sleep is the luxury many people can’t afford in a sufficient supply these days. We live in a very fast-paced era, where too much burden is being put on our shoulders. Deadlines at work, peer pressure, poor diet — all these factors will slowly start to deprive you of sleep, compromising the overall quality of your life. 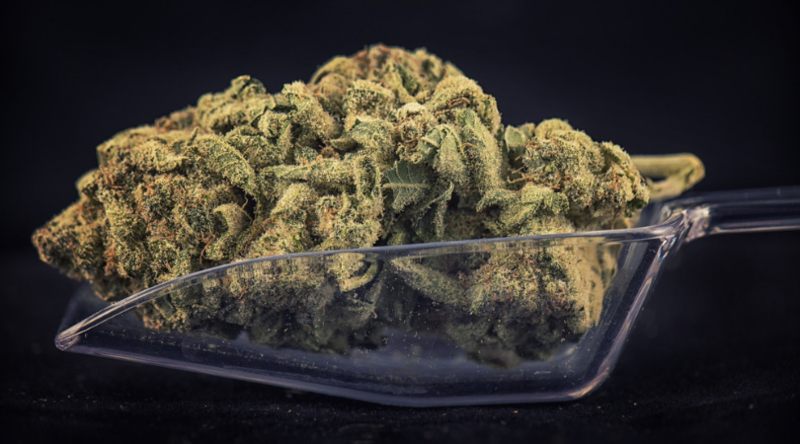 Of course, you can go to your doctor and ask about a bottle of debilitating pills to knock you right out of your shoes, but there’s another, natural and safe solution to your troubles — it’s called cannabis, or to be more precise, the Bubba Kush Strain. 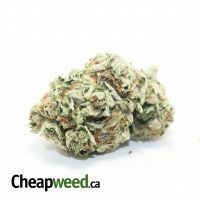 With just a few hits, Bubba Kush can bring down a tranquilizing sensation that will melt away even the heaviest stress. 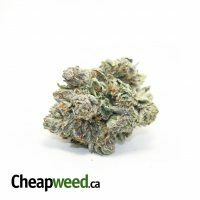 This mighty indica has gained its name for its splendid medical potential, especially as the go-to treatment for individuals suffering from insomnia and the lack of appetite. 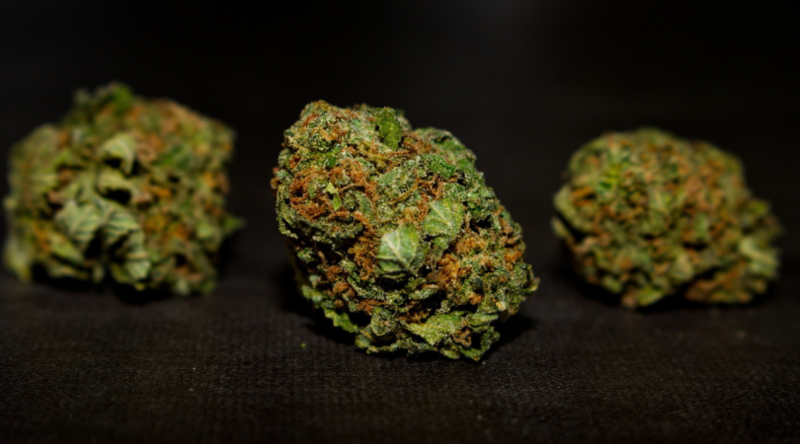 Below you will find everything you need to know about the Bubba Kush strain. 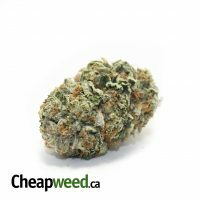 Continue reading and see if this unique bud can live up to your expectations. Bubba Kush is a heavily indica-dominant strain, shining with absolutely every hallmark effect of this variety, including euphoria, full-body relaxation, sleepiness, and a heavy case of munchies. Although the exact origins of the strain remain unknown, the original breeders from California claim that one parent was an OG Kush plant, and the other was a mysterious Northern Lights phenotype delivered from Mardi Gras in New Orleans; this unknown mother strain was further named “Bubba”. The THC content of Bubba Kush is around 15-23%. This, combined with its indica genes, makes the strain a wonderful choice for insomnia, nausea, stress, pain relief, and loss of appetite on top of other medical benefits. Appearance wise, Bubba Kush is anything but your typical bud, but it still exhibits signs of usual well-grown marijuana with frosty green and slightly violet buds that are accentuated by small orange pistils sticking out from in between. The green and purple tones carry over to the water leaves, which gives Bubba Kush a vivid and bright appearance. As for the aroma, the Bubba Kush strain releases a sweet and pungent aroma, often compared by weed connoisseurs to coffee and chocolate. The smoke is very reminiscent of hashish, with notes of earth and nuts on the exhale, toned down by the sweet side of Bubba Kush to send your taste buds on an unforgettable adventure. The mighty Bubba Kush strain produces effects that are unique to strong indica varieties. You can expect an extreme body melt accompanied by bliss that keeps all the worries away. Sometimes, it only takes a few hits from the bowl to feel couch-locked and craving some mouth-watering foods. Speaking of which, Bubba Kush is famous for inducing a powerful case of munchies, so keep some hearty snacks at hand; otherwise, you won’t be able to think about anything other than how hungry you are. If you don’t go overboard with these delicious frosty nuggets, your high will be more delicate, but you can still expect to have an inspiring introspection while sinking deep into the couch. If you’re worried about potential brain fog, worry not, as Bubba Kush won’t give you such effects. That being said, even if you feel physically immobilized, you can still engage in chats and communicate with your friends. 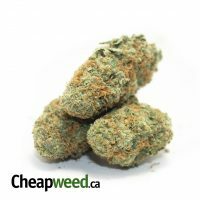 As you begin to smoke Bubba Kush in larger quantities, you’ll likely become more euphoric, hungry, and sleepy, which makes the strain an ideal option for people having troubles sleeping or those suffering from loss of appetite. Additionally, Bubba Kush is often the go-to pick for those who are suffering from severe illnesses such as HIV/AIDS or cancer. That’s because this powerful indica is invaluable for relieving pain and loss of appetite. While Bubba Kush may no cure disease from the inside out, it will make the everyday roadblocks easier to handle. 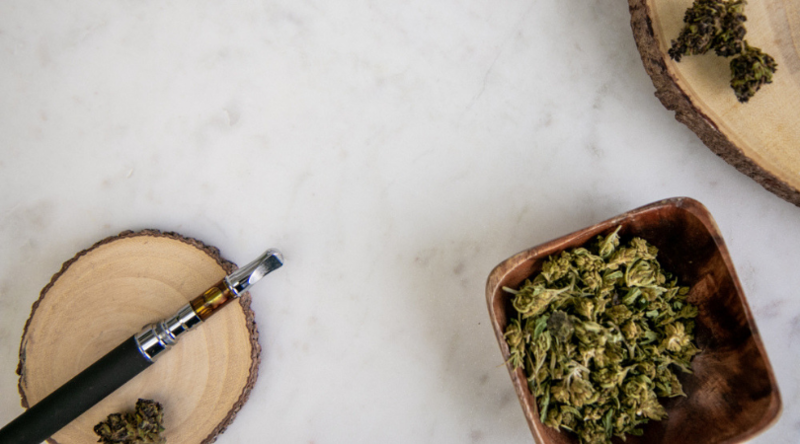 If you’re looking for more potent forms of this strain, try edibles, concentrates, or live resins — they pack more punch than the dried bud. Those looking for an energy kick early in the day will face a huge disappointment if they decide to pack their bowls or vapes with Bubba Kush. 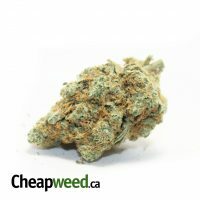 This potent indica is typically used as a sedative for dealing with severe pain and insomnia. Because of these properties, you might feel sleepy and unmotivated during the day. 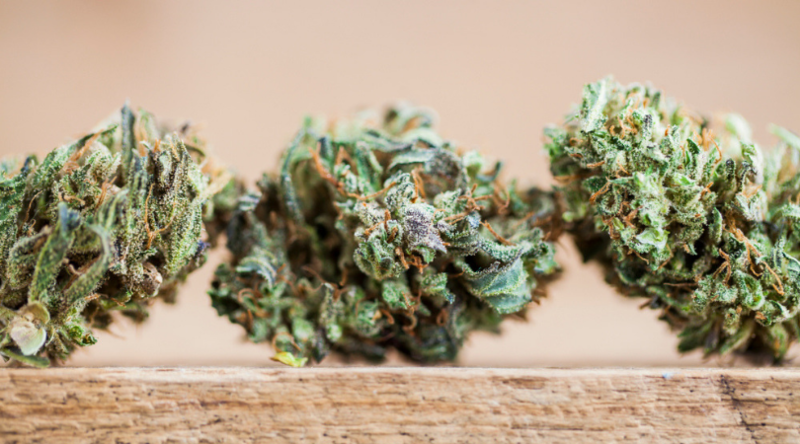 Sleepiness aside, there’s one more thing to keep in mind when using Bubba Kush — the dosage. 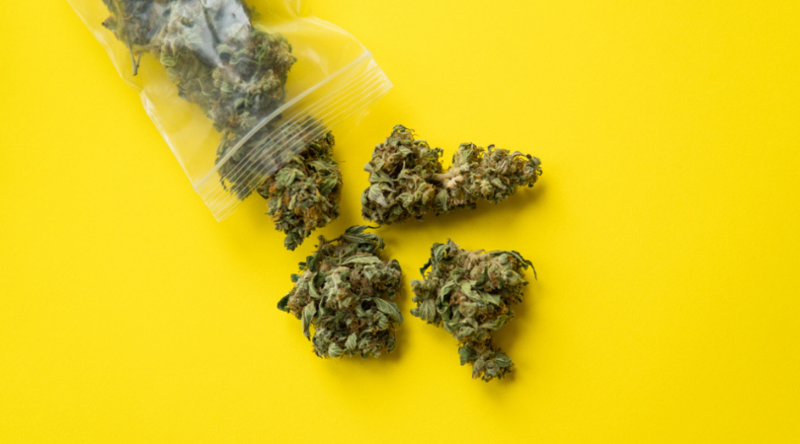 Those dealing with stress, anxiety, trauma, depression, and other mental conditions should take caution when dosing any weed strain, but Bubba Kush is way beyond that. 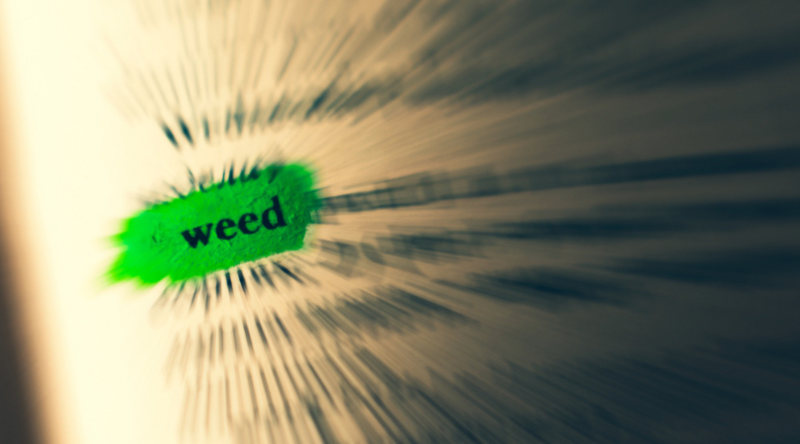 Too much of its pungent buds can heighten the anxiety, stress, and even induce paranoid thinking. While those effects typically don’t last long, they’re not pleasant, to say the least, so remember about your limits and respect those doses. This will allow you to avoid most of these side effects. Well, maybe save for the dry mouth and dry eyes, but that’s the bread and butter of all cannabis users. Bubba Kush is relatively easy to grow, and like most indica buds, people choose to cultivate the plant indoors. The strain typically extends to about 4 feet, and as such, it’s not the most generous strain in terms of the yields. The harvest, however, may surprise you with the quality, as Bubba Kush is known for its insane resin production. The flowering period for Bubba Kush is around 8-10 weeks; after that time, you can expect a yield of around 17 ounces per meter squared. Outdoor growers usually harvest their strain around mid-October, with 21-28 ounces of flowers per plant. Bubba Kush is the ultimate strain for achieving a state of full relaxation, where users can easily kick back and relax without being troubled by pain, stress, or racing thoughts. While the bud may not necessarily be your best daytime companion, it does wonders for your sleep routine when consumed in the evening, let alone the munchies that can boost appetite even in the most hopeless cases. 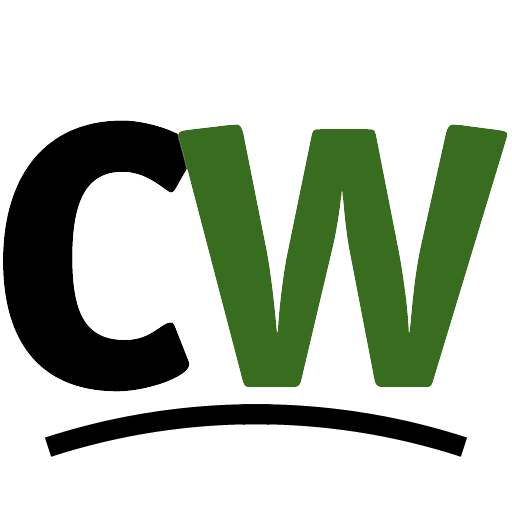 We hope you’ve enjoyed our review and that you’ve found it both educational and entertaining. We’d also love to read your opinions about this euphoric indica. Is Bubba Kush something you’d give a shot? Or, maybe you’ve already indulged in its sticky nuggets? Share your stories in the comments below!